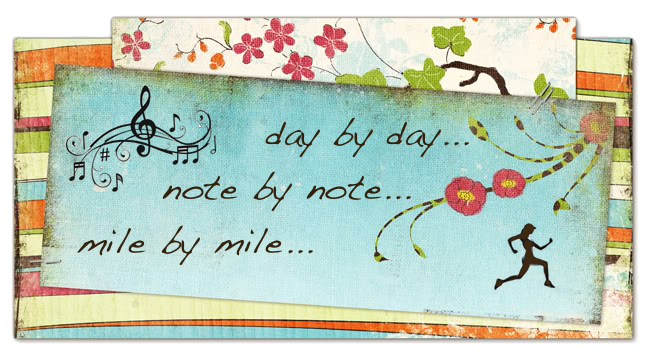 Day by Day, Note by Note, Mile by Mile: What's your reflection? Have you ever wondered what your life looks like from the outside. When other people look at you, what do they see? Is that an accurate reflection of what's really on the inside? With the rise in prominence that Facebook has taken over the last nine years (can you believe it's been that long? ), it has truly changed the way that we interact with one another...across the world. Of course, it's really just one piece of the social media puzzle. Twitter, Vine, Instagram, Tinder, Yahoo, Flickr, LinkedIn, and the list goes on and on. Everyday they shape our perception of reality. When I was growing up (which is about to make me sound old), cameras used film. You had to be selective about what you took pictures of because to see each picture, you had to pay to get it developed. If your shirt was untucked or hair looked lopsided or your smile was weird, you wouldn't actually discover that until you had your film developed. And this was usually several weeks after the event occurred, preserving your imperfections just as they were. Now? Digital cameras. Photoshop. On the go photo editing. You can have that perfectly white smile (that you don't really have) with a quick swipe across the screen. The wind made your hair look weird? Don't worry, just retake it (because you checked to make sure it turned out as soon as you took it). That angle made you look like you had a double chin? Just take it again and hold the camera higher. And then...facebook it. Or Instagram it. Or tweet it. Now that you have achieved what you perceive to be a socially acceptable representation of what's going on it your life, it's time to share that with the world. It's not just the pictures, it's the posts. The words you use. What do your words say about you? Are you passive aggressively posting song lyrics because you hope that one person will read it and know you're really directing it at them? Is the language you chose to display an accurate reflection of the person you truly are inside, or is it a show for your friends? Do you really think you're going to attract someone worthy of what you deserve by airing out your disappointment as a relationship doesn't work out the way that you wanted? Are you checking into a place and tagging someone you're with just because you know someone else is going to see it and be upset by it? Where is the honesty of reality in all of this? I've always promised to be honest in my blog posts. Even when it's uncomfortable. (See the one where I got fat) And if I'm being honest, I know I've done most of those things at one point or another. Readily admitting it. I'm not any better than anyone else. And you know what? 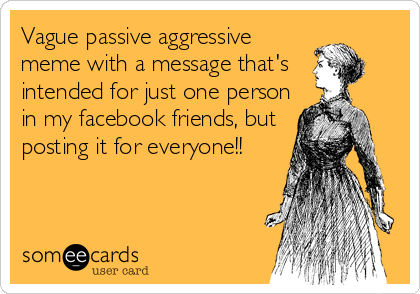 When you passively aggressively post, most people will passively aggressively ignore you. Or confront you...and it won't be pleasant. And when you post crude things, people will attribute crudeness as one of your character attributes. And I can't say for sure, but I think people are generally attracted to positive people. But it's just Facebook, right? It's not real. What's the first thing you do in the morning? I usually reach over, turn off the alarm on my phone, and then open up Twitter for my morning news. In less than five minutes I know the headlines from the New York Times, Milwaukee Journal Sentinel, and Today's TMJ4. I know what the weather is going to be like for the day, who won the football game from the night before, and what my cousin is wearing today (thanks Snapchat). At this point I usually roll onto my back, delete my junk emails, and scroll my Facebook feed to see what happened overnight. And we've all had that moment. You know the one where you see that a certain someone "liked" one of your pictures...and it makes your morning. Or maybe you see a picture of your friend's toddler who "made their first poopy in the big boy/girl potty...and breakfast no longer seems like such a good idea. I've been awake for ten minutes, the smell of coffee percolating is starting to dance from the kitchen to my bedroom, and the tone for my day has been set by people's posts on what I perceive to be their reality based on what they've shared. All without even leaving the comforts of my bed. And how I feel is very real. I'm not saying I'm any better than anyone else. I'm not directly this blog post at anyone. I'm directing at me. I'm directing it at all of us. People are fragile and resilient and beautiful and flawed and confused and excited and everything in between. And it's ok to share that. And like it. And tweet it. And favorite it. That's real. Reflections are scary. You can't fake a reflection. What you see it what you get. Are you being honest with what your reflection shows? What does your reflection say about you? 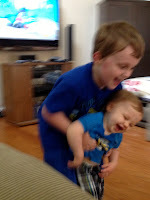 My favorite pictures are the blurry ones. It's when people are the most real. The blur. 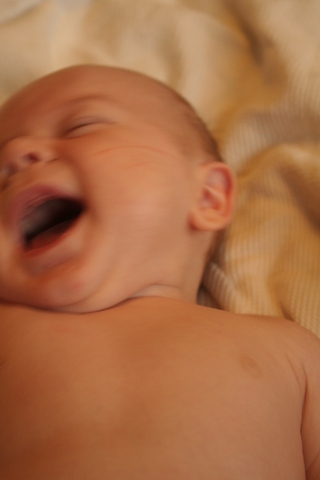 The laughter. The movement. The double chins. The slightly discolored teeth. The messed up hair. That's real. And scary. And as Bruno Mars so aptly puts it...that's what makes you beautiful.